If you’ve noticed how an apple turns brown when it’s cut or how iron rusts when exposed to the elements, you’ve seen the effects of oxidation. Oxidation causes similar damage to the cells of the body. But unless you have discovered how to live without breathing, you cannot escape the consequences of oxidation. It takes place whenever you breathe, digest food, exercise, or even sleep – and produces potentially harmful agents called free radicals. Free radicals are unstable molecules that trigger chain reactions that eat away at the cells of the body and damage the genetic material they contain. Countless free-radical chain reactions take place in the body each day. In addition, emotional stress, ultraviolet light, air pollution, and cigarette smoke also generate free radicals that can put your health at risk. The main antioxidants, such as selenium, and the vitamins A, C and E were assumed to be the main weapons with which our bodies fight ‘free radicals’. 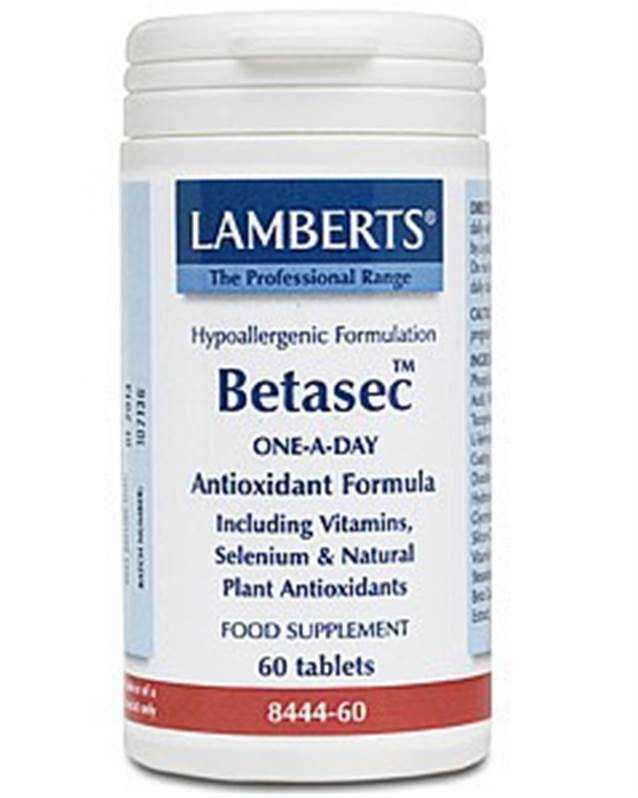 New research has shown there to be equally powerful antioxidants in plant materials such as grapeseed, green tea and rosemary and these are combined in Betasec™. We’ve combined effective levels of the standard antioxidant nutrients, plus some of the best sources of natural plant antioxidants, all presented in a concentrated extract form. See Integration section for ingredients listed in bold. Cautions Do not take if pregnant or breast feeding.